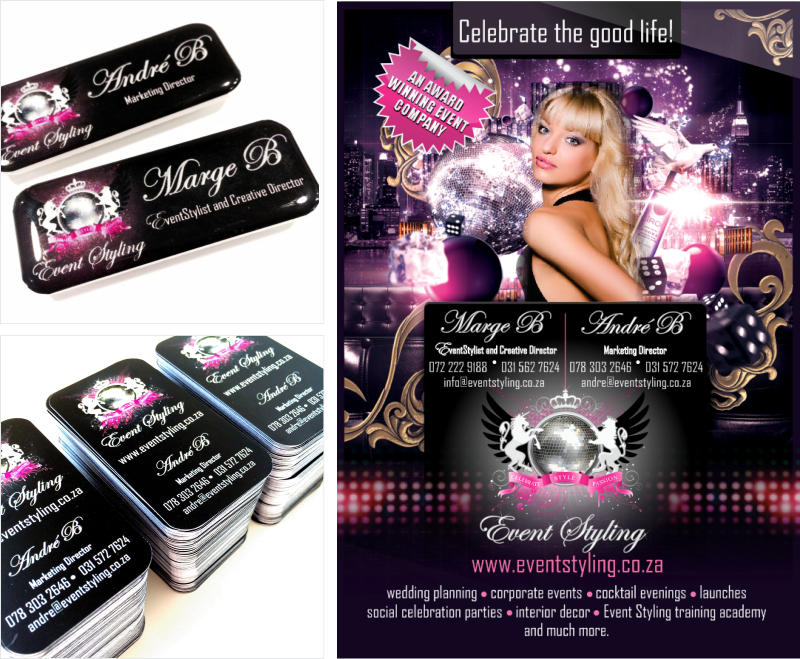 Event Styling is a high profile award-winning event management and planning company owned and managed by the outgoing and glamorous Marge B. We've just wrapped up a few items for her including badges, business cards for a new staff member, and a fabulous flyer. Check them out below and make sure you visit the Event Styling Facebook page to see pics of Marge's spectacular work.